Anna from Lila Ruby King (This site/resource is no longer available) has her hands in all sorts of things. Fabric, paper goods, washi tapes, and jewelry are just a few. She found time in her busy schedule to sit down with us and share her success story. I went into art school straight out of high school in Australia, where I majored in printmaking, and did my minor in painting. I suppose idealistically or naively I didn’t really have an end goal in mind, but while studying these two, two-dimensional fields, I had started making jewellery in my spare time. At the end of my degree, I decided I wanted to study further the creation of three-dimensional, functional work, so I did a further year studying jewellery design and manufacture. I began my first little arts business in this final year, selling my work in some shops in my home city. A couple of years later I relocated to Athens. It took some time to organize myself, set up a new business, and discover how my work was going to fit in this new market. I started my new business, Lila Ruby King, making and selling prints, paper goods and accessories featuring my illustrations. Today I have an online shop and website, as well as selling my work in shops here in Athens, and abroad. Definitely moving to another country. 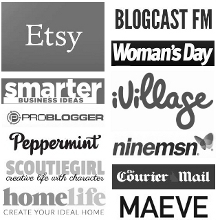 In Australia I had created my little niche, selling in a few different shops, having to close all that to relocate was hard. It was probably 12 months before I really had myself ready to start properly working again, and it was like starting from scratch, having to find new suppliers, new stockists, etc. It was frustrating, but when I did get going again, I had a lot of creative energy and a lot of motivation to make things work. A couple of years ago I had a small exhibition of my work at a shop/gallery in Japan, that was really exciting, and flattering as I am so in love with Japanese art and design, from historical times to contemporary. Then last year I was contacted by a large stationary company in Japan to work with them to create some designs for a series of washi tapes. Who doesn’t love washi tape? It was such a fun project and getting the final product in the post was really an exciting moment. I usually have the problem of too many ideas and need a way to either find more time, or prioritize. Often though I find when asked to do a commission work, or custom project for someone else I can struggle. I think it’s the pressure of coming up with ideas for someone else. I tend to sketch and doodle on random scrapes of paper, so I keep these filed away when I am finished with them. If I’m stuck for ideas, just leafing through all of these can really help. And nothing beats going for a walk with my headphones on, or reading a book. Anything that encourages daydreaming. I’m a late starter. I get going late morning, usually with emails over breakfast. After that, it really depends on what needs to be done. I tend to put orders for clients first, then after that is done I can work on my own projects, playing with new ideas and new designs. I really just keep going until I have everything that needs to be done, done. Sometimes that coincides with dinner, sometimes I will work later if needed. I like what I do, so I never really feel life is out of balance, even if I have to do a bit of work over the weekend. I always try and squeeze a walk, or some kind of activity every day. It is nice to get outside and good for letting the subconscious sort some ideas out on its own. It is hard to say, but I think having a professional website is a good start. These days we all have twitter accounts, instagram feeds, Etsy shops, perhaps brick and mortar locations, or fairs we’re attending. I think it is really helpful for your customs to have a nice homepage, where all these avenues can lead back to, where they can learn more about you and your business. Be professional. Just because we’re creative types, doesn’t mean we shouldn’t be serious about our businesses. Maybe it is the many retail and customer service jobs I had while I was at university, but I think how you treat your customers is probably the most important part of that. Responding to emails quickly, answering any questions, dealing with any problem that arises. A customer you have is a valuable thing, so look after them. I never have a good answer for this question. Who the hell knows? If things are continuing much the same as they are now, then I will have nothing of substance to complain about.